Pusat Bahasa Teikyo is a Japan Pre-U centre located in Kuala Lumpur offering Preparatory Courses for further studies to Japan, together with specialized Japanese Language Courses. We are the only Japan Pre-U centre in Malaysia, and is recognized by the Japanese Ministry of Education, Culture, Sports, Science and Technology (MEXT). 12 years of formal education are required to enter colleges, universities in Japan, however, most Malaysian students only have 11 years of formal education after secondary school. Therefore you can study for at least one year in PBT to meet the entrance requirements. If you are interested in further studies to Japan, PBT is the best choice for you in all aspects. You can learn the Japanese language and other subjects with our native Japanese teachers who are experienced to teach foreign students. You are assured of quality education, reasonable fees and a recognized certificate from Pusat Bahasa Teikyo. The Japanese language is the tenth most spoken language in the world used mainly in Japan and amongst Japanese in Japan and the expatriate Japanese population worldwide. There are three character forms used in the Japanese language: Hiragana, Katakana and Chinese characters. These different character forms are used in varying situation. To fully understand the Japanese language, one need to learn all the three character forms. Furthermore, unlike English and Bahasa Malaysia, the Japanese language is a SOV (subject-object-verb) language. In other words, the average Japanese sentence starts with a subject, follow by an object, and then a verb. Pronunciation is comparatively simple because the language has only five vowels and sixteen consonants. If you speak English, Chinese or Bahasa Malaysia, it will not be difficult for you to learn how to speak Japanese. In Malaysia there are more than thirty Japanese language schools and ten of them are located in Kuala Lumpur. 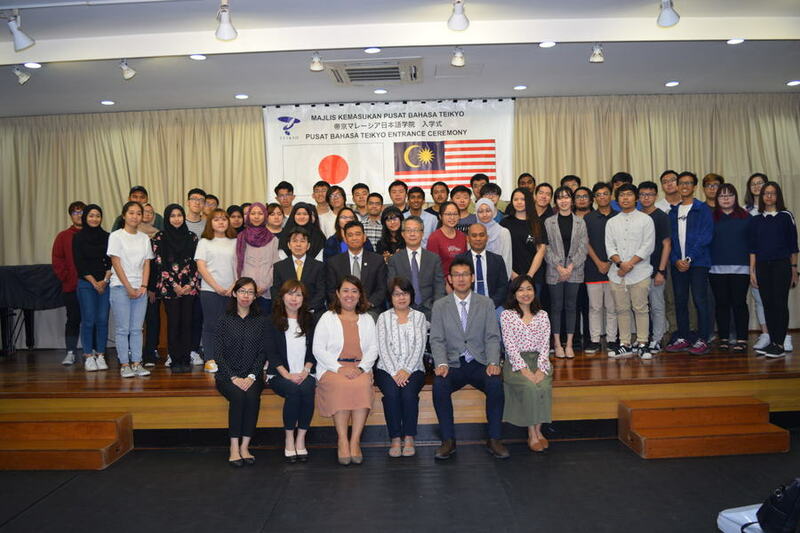 In 2017 about 3000 Malaysian students went to further studies in Japan. The number of the students furthering their studies in Japan have been increasing year by year. Why are so many people learning Japanese language and studying in Japan? One of the reasons is that Japan is one of the world’s leading economic powerhouses. Japan has the world’s third-largest economy with normal GDP, the world’s fourth-largest exporter and importer. Many Japanese companies operate internationally and their network and branches are still expanding worldwide. Now actually there are more than one thousand Japanese companies in Malaysia. Although Japan is such an economic powerhouse, not many Japanese can speak English. Therefore if you can speak Japanese, you will have a very big advantage in various fields such as business and tourism! More and more Japanese speakers are needed, not only in Japan but also outside Japan because of Japan’s business diversification. If you’d like to learn the Japanese language in Malaysia, do join Pusat Bahasa Teikyo. Let’s learn Japanese! Pusat Bahasa Teikyo is a Japan Pre-u Centre in Kuala Lumpur for students who wish to further their studies in Japan. It was established twenty years ago and have continued to provide high quality lessons in preparing students for entry into Japan’s institutions of higher learning. Our school is recognized by both the Malaysian and Japanese governments. We offer two kinds of preparatory courses: a 12-month course and a 20-month course. The 20-month course offers the option of arts or science subjects. The 12-month course offers arts stream subjects only. Course contents include the Japanese language, History, Mathematics and so on. The students study only the Japanese language for the first 6 months, and thereafter, they study other subjects. Besides the Pre-u course, we also offer the Japanese Language Specialized Course for those who are interested in studying the Japanese language. All our lecturers are native Japanese and lessons are taught in Japanese. Compared with other Japanese language school in Japan, our tuition fee is very reasonable. The fees of similar Japanese language schools in Japan are almost double that of ours, and with only half the number of lessons or hours. Furthermore, the cost of living in Japan is twice that of Malaysia. This means that there will be great savings when you study in our school before you further your studies in Japan. 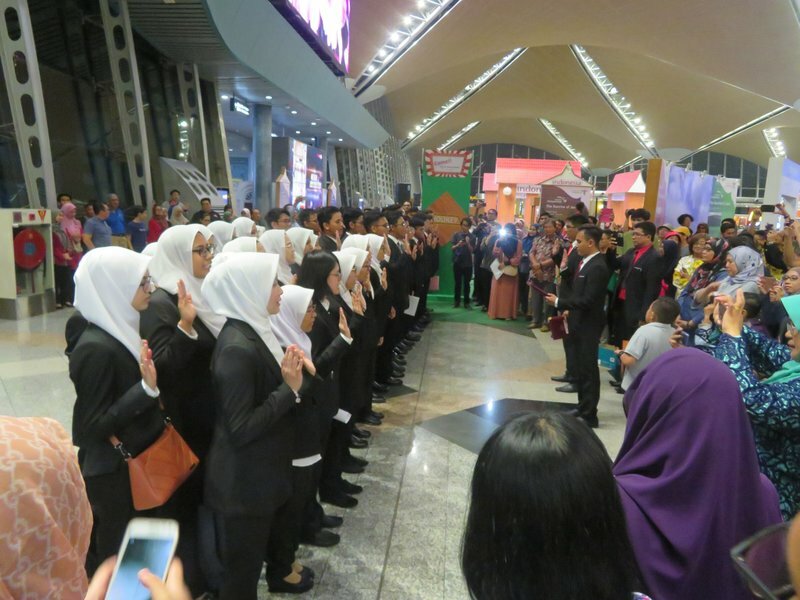 After finishing the preparatory course in Malaysia, more than 90% of our students successfully go to Japan to complete their studies. They have enrolled in various Japanese school such as colleges, vocational schools, national universities and private universities. Students can choose any schools in Japan. In 2017 27 students enrolled in national university and 14 students enrolled private university as well as 18 students enrolled in college and vocational school. After graduation, most of students work in Japan. Each school supports their international students to find jobs in Japan. Some return to Malaysia to work in Japanese companies. Q.What course do you offer at Pusat Bahasa Teikyo? Fundamentally, we offer two kinds of courses for preparatory studies to Japan: 12 Month Course and 20 Month Course. For people who are only interested in studying Japanese, the Japanese Language Specialized Course is available as well. Q.When is the intake period? It is in January for the 12 Month Course and April for the 20 Month Course. Q.Is there an age restriction? No, but you have to be at least 18 years of age at the time of admission into a University /College /Vocational School in Japan. Q.Can I enroll even if I have no experience in learning Japanese? Yes, you can. Most students come in without prior experience in learning Japanese. Q.Upon graduation, how does the level of Japanese differ between the 12 month course and 20 month course? As a reference, you would be at a level sufficient to pass the Japanese Language Proficiency Test (JLPT) N2 for the 12 Month Course; and N1 for the 20 Month Course. If you are planning to go for undergraduate studies in Japan, we highly recommend you to join the 20 Month Course. Q.Is it possible to study in the Science Stream at a university if I was in Art Stream in high school? We are very sorry to tell you that switching from art to science is impossible if you wish to study the sciences in university. The subjects of the university entrance examination are different for arts and sciences. At Pusat Bahasa Teikyo, there are also different entrance requirements for joining arts and science. If you are really interested in science, we recommend you to go to professional training colleges. However, the converse is possible. Q.Is it more advantageous for me to go to a Japanese language school in Japan or Pusat Bahasa Teikyo? Our fees are cheaper compared to Japanese Language Schools in Japan and the study hours are longer for the other subjects (Math, Physics etc.). This is advantageous if a person has completed Form 5 and aims to go to a national university. Q.What kind of people are the teachers? All the teachers are of Japanese Nationality. They teach Japanese Language, and subjects such as Mathematics, Physics, Chemistry, and Japan and the World. As of January 2018, there is a total of 27 teachers [Japanese – 26, Malaysian (part time English teacher)-1]. Q.Do teachers use only Japanese to teach? Do they teach in English? All subjects at PBT are taught in Japanese. In Japanese Universities, you will also be studying in the Japanese Language as well, so you will be trained to think and learn in Japanese here at PBT. Please do not worry as classes will be 100% in Japanese and the lecturers will guide you should you have any problems. Q.Is there a student dormitory? No, but we do have contacts of the owners of apartments/ boarding houses that are near to the school. Q.Are there any scholarships available? There are no scholarships available for studying at Pusat Bahasa Teikyo. However, at the end of the course, the ‘Razak Scholarship’ will be awarded to students who have performed exceptionally well throughout the course. In year 2016, RM5000 was awarded to 2 students. Q.How many years does it take to complete a Japanese undergraduate course and postgraduate course? Generally, it takes 4 years for undergraduate degree, 2 years for master’s degree and 2 years for doctoral degree. As for professional training colleges, the courses are usually 2 or 3 years long. Q.What are the examinations I have to take prior to entering a Japanese University? First, you need to sit for the Examination for Japanese University Admission for International Students (EJU). After that, you will sit for the entrance examination of your chosen university. Q.What is the EJU exam? The EJU Exam is an examination to assess the level of Japanese Language and other subjects (Mathematics, Chemistry, Physics, Japan and the World) of international students who wish to enter a Japanese University. Q.Can I study abroad in Japan immediately after completion of Form 5? Unfortunately, you cannot. As Japanese universities require you to have at least 12 years of formal education beforehand, and completion of Form 5 only amounts to 11 years of formal education, you have to supplement with at least another year at a Japanese Language preparatory centre. Q.Where is the entrance exam for the universities held? Generally, students go to the designated university in Japan to sit for the entrance exam. However, some universities hold their examinations in Malaysia and some universities do not have entrance examinations.